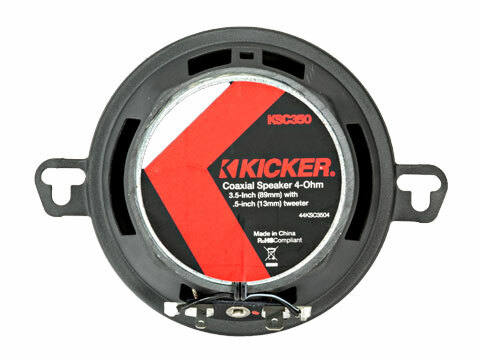 KICKER’s® elite KSC coaxial drivers upgrade lift your audio to new levels of accuracy with extended bass and the smoothest highs. 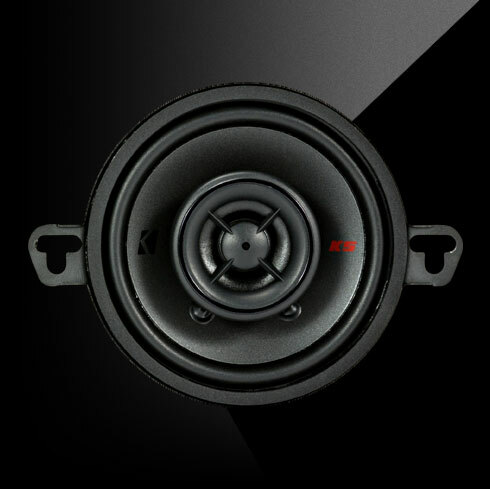 The KSC 3-½ Inch Coaxial Speakers are built for awesome sound that plays as long as the ride takes you. 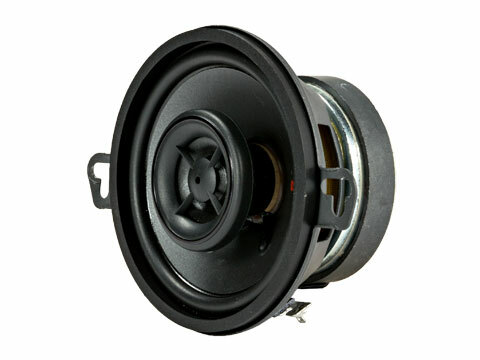 These KICKER® door speakers include a minimally protruding tweeter with a large silk dome for smooth highs, a polypropylene woofer and tough rubber surrounds. 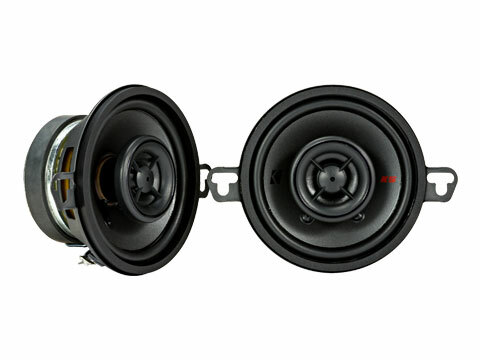 You get a smooth, distortion-free response that easily fits behind factory grilles. 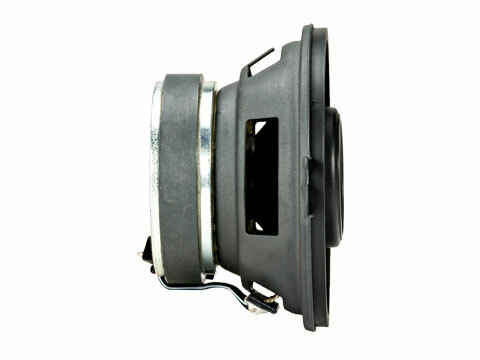 These KSC coaxial speakers work best with 50 watts of recommended power. See below for more details.